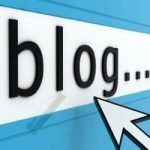 Welcome to the official blog of Karyon Global here we will cover trends in IT, Computing, Telecom, News, Tips and events that could have an impact on professionals and Industry. We hope you have the pleasure of Karyon Global perspective on the changing world of Technology, and we encourage you to share your thoughts on topics of interest as well. Thank you for reading.